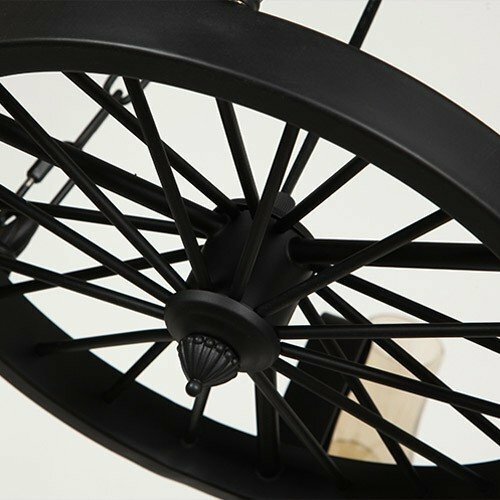 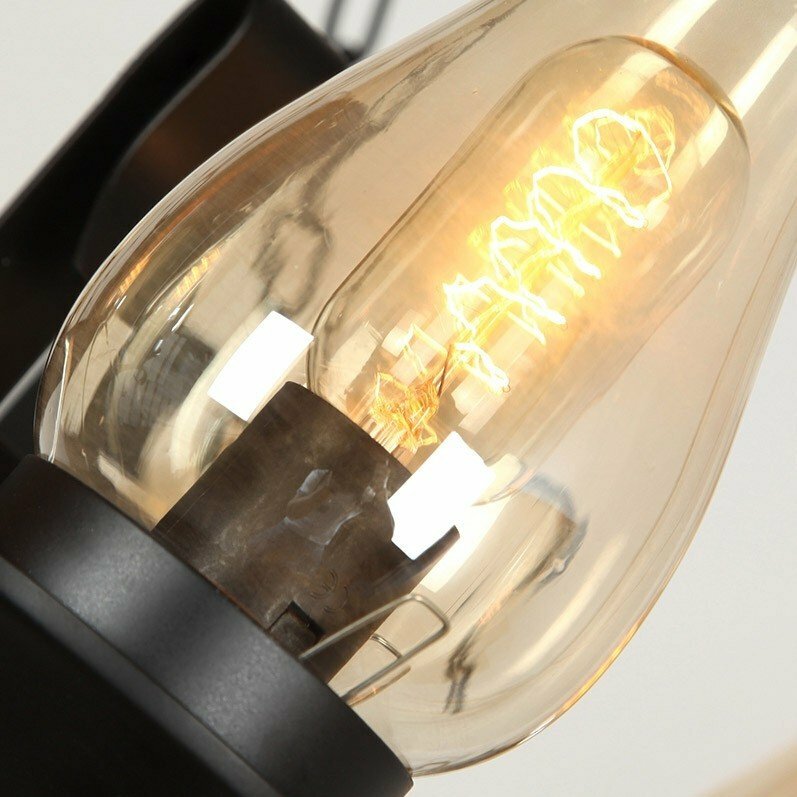 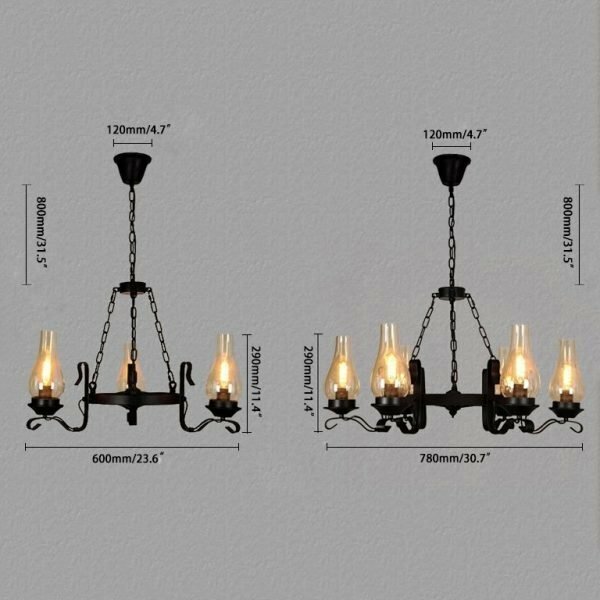 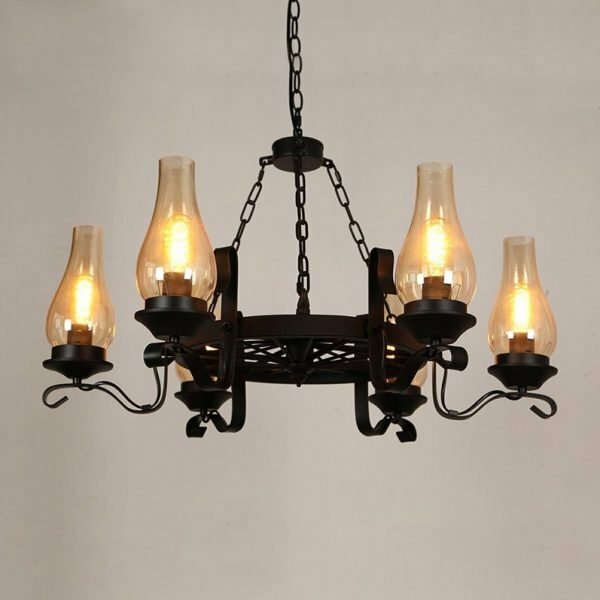 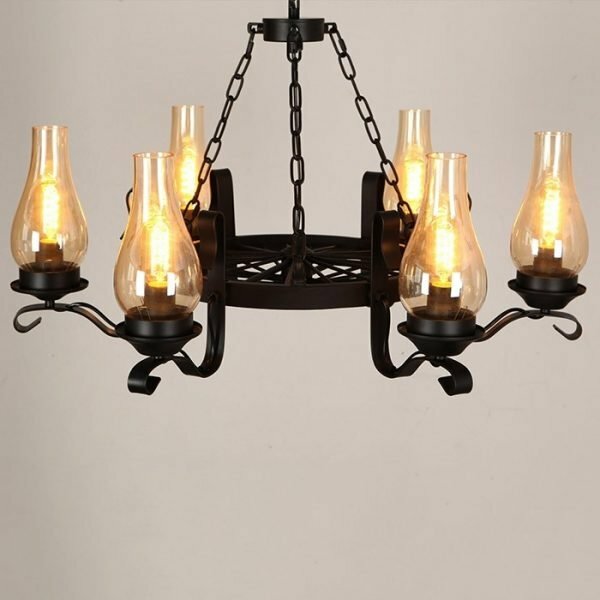 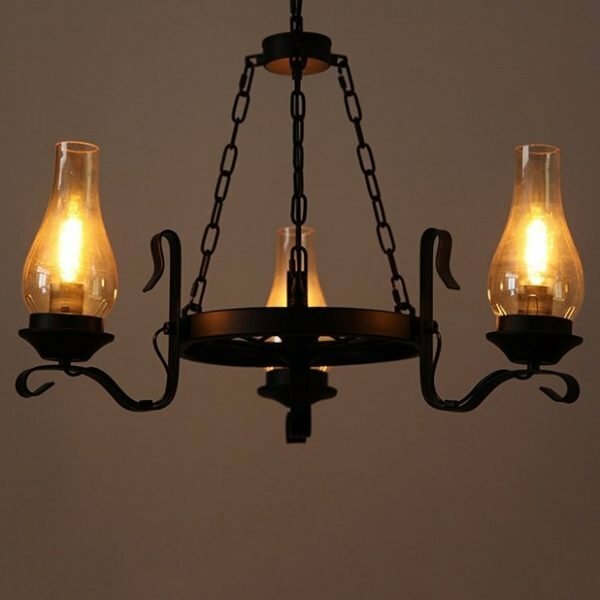 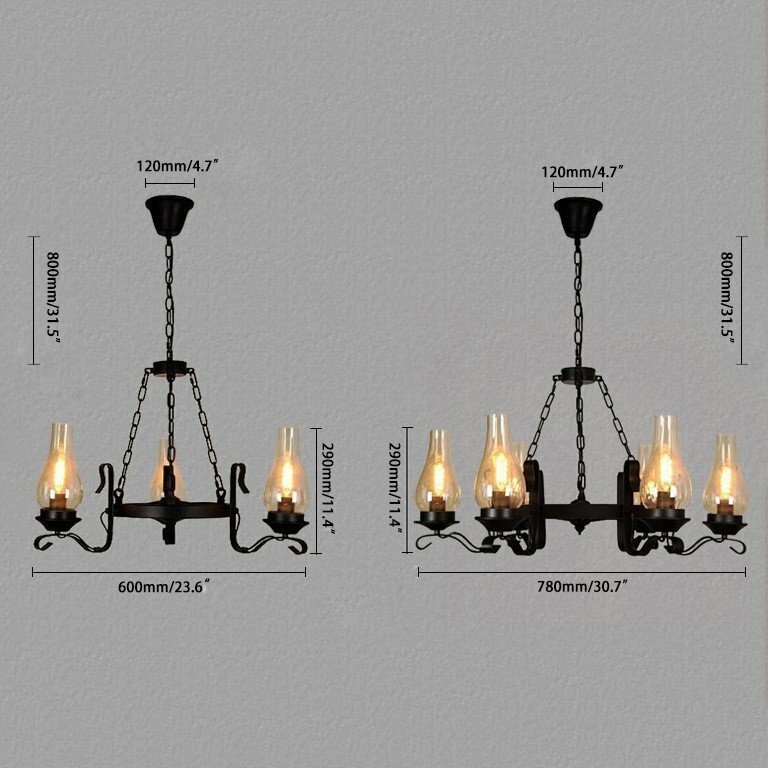 Designed to brighten up your home with industrial flavor and rustic charm, this handsome chandelier features a classic wagon-wheel silhouette and helps to provide a western look with an authentic feel. The chimney glass shades encase the bulbs and help to eliminate glare and diffuse light handsomely. 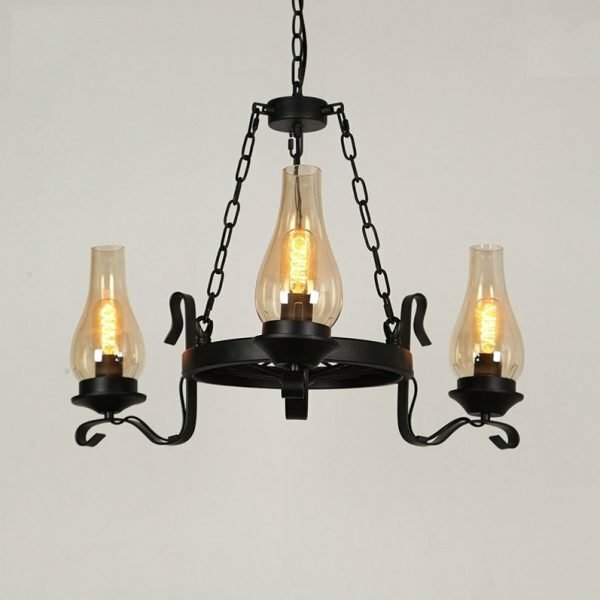 The sophisticated black finish adds just the right hint of metallic flair. A perfect mix of form and function, it will make an impression in dining areas, entryways and more.